Ironic that yesterday's post was about aliens, because today we have a story of the discovery of a crashed UFO in the Baltic Sea. What I think is interesting about this is that every single site on this story that I looked at did exactly what I just did to you; the writer primed readers to interpret what they were looking at by telling them ahead of time what the subject of the photograph was. In fact, a good many sites had headlines such as "Swedish Team Finds Millennium Falcon in Baltic Sea," thereby not only telling you that you were going to be looking at a photograph of a spaceship, but telling you which spaceship it was. Unless you'd seen this rather famous photograph before, you probably didn't see a damn thing in it. Then, I used the word "photograph," and you very likely went, "Wait..." and looked again. Then, if I tell you it is a photograph of a dalmatian dog... suddenly it pops out. The point is, when you already have a guess as to what you're looking at, it makes it much easier to see. This would have been pretty helpful to proto-hominids on the African savanna, where being able to pick out a lion's face from amongst the dried tufts of yellow grass would have been a major life-saver. However, like most things, this ability can backfire -- and make you see things that aren't there, simply because you were already convinced that you knew what you were looking at. 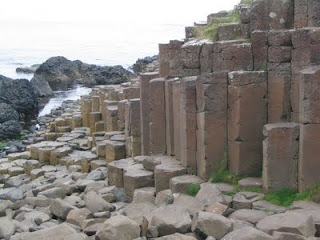 The sheer regularity of this structure -- thousands of hexagonal, smooth-sided pillars -- has led people to variously surmise that they were made by gods, giants, and the lost civilization of Atlantis. In fact, all they are is hexagonal cooling cracks in igneous rock -- a perfectly natural occurrence. Now that you know that (which you may have already), you notice that they're not perfectly regular, and they're packed too tightly to be anything likely to be made by humans. However, if I'd told you that these were pillars of an ancient temple before showing you the photograph, I wonder if that would have even occurred to you? Back to our crashed spaceship. What makes it look like a spaceship? It's (1) vaguely oval in shape; (2) has long, parallel lines in it; and (3) there's a section of it (the "back end of the spaceship") that has a gap, right where we are accustomed to seeing the exhaust system of spaceships in movies. All right, could this be a spaceship? I suppose, but aren't there other explanations that are a tad more likely? 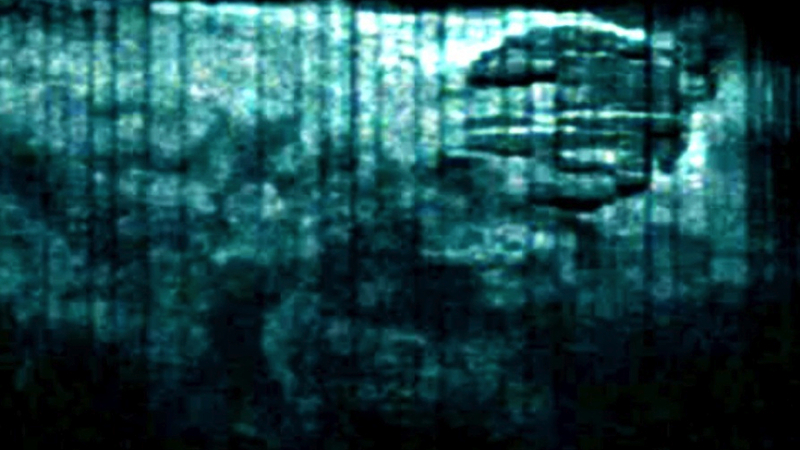 It may not be a natural object -- its regularity supports that conjecture -- but maybe it's just a piece of a sunken ship (a gun turret, perhaps?). Alternately, it could just be a rock formation. Recall how convincingly face-like the "Face on Mars" looked -- until you saw it from another angle. In any case, I'm not ready to accept that it's an alien spacecraft, based on one photograph, nor to warn divers to watch out if they approach it so they don't get infiltrated by the Black Oil (sorry for the X Files reference if you're not an aficionado). Given how easy it is to fool the human mind, especially if they're already primed to interpret what they're seeing in a particular way, I'm perfectly willing to delay my excitement until we get more information.